The regular season has come to a close, and now is when the real fun begins. The No. 5 Maroons traveled down to Almonte Springs, FL on Wednesday for the UAA Tournament in hopes of claiming the conference title. The South Siders had a stellar regular season, finishing it off with a 15–3 record. Their regular season performance landed them the No. 2 seed for the UAA Tournament, to face off against No. 7 Rochester in their first match. The squad built momentum for the weekend, sweeping Rochester 9–0 in the UAA quarterfinals on Thursday morning. This win did not come as a surprise for the Maroons. Second-year David Liu said the team was expecting this fast start before Thursday’s match. “We’re very confident going into tomorrow. We've earned the two seed in the tournament and as a result we play Rochester, who are lower ranked and should give us confidence going into the rest of the tournament,” Liu said on Wednesday. However, winning the first match is not the ultimate goal for the Maroons this weekend. Chicago has its eyes on the UAA title. This will not be easy, as the Maroons are not the only ranked team in the competitive UAA bracket. Teams like No. 13 Wash U, No. 6 Case Western, and No. 1 Emory are all trying to claim the title for themselves. Chicago will play Wash U on Friday morning in the semifinals. Emory comes into the weekend as the defending champs and they are looking to repeat this year. According to Liu, Emory and Wash U, Chicago’s next match, will be the stiffest competition in the tournament. “Emory and Wash U have historically been our toughest matchups in the tournament. Earlier this year, Emory beat us, so hopefully we will get to play them in the final and show them how much we’ve improved as the season has gone on,” Liu said. The Maroons are not just setting their sights on the top-ranked Emory. They recognize they have to beat a tough opponent in Wash U to gain entrance to the final. “Of course we need to get there first, so we are not overlooking any of the matches before the final. Every team we play is tough and we’ll need to play our best every day,” Liu said. 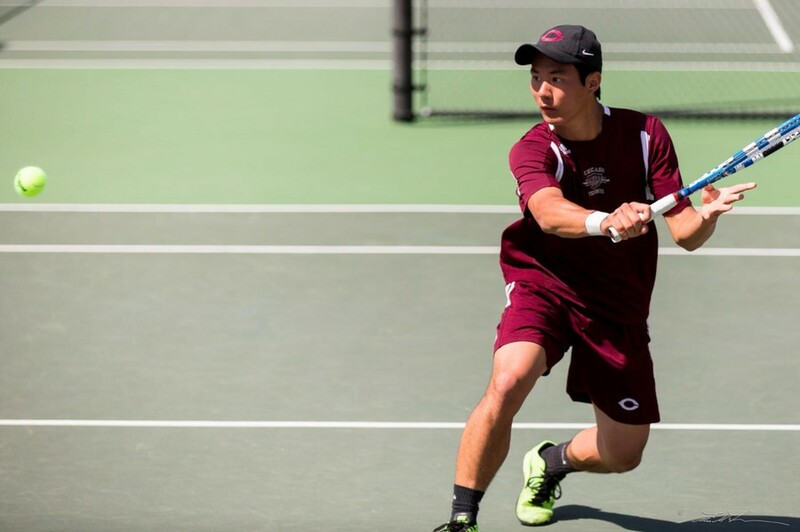 While the NCAA DIII Tournament is also looming, the Maroons are focused on the goal in front of them. “UAAs is a huge deal for us. We’ve never won the tournament in school history and we made it a goal this season to bring it home,” Liu said. Chicago will play Wash U Friday morning at 9 a.m. If the Maroons win, they will face the winner of the Emory vs. Carnegie Mellon match in the finals on Saturday.